Cranes are among the most endangered birds on Earth, and wetlands are their home. But wetlands continue to disappear. 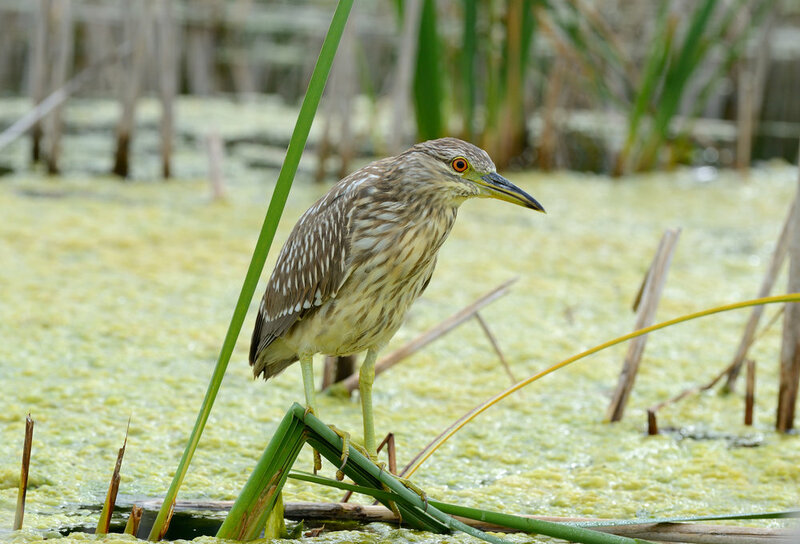 Come celebrate these charismatic birds this fall—and support the Wetlands Initiative’s habitat restoration projects! Dr. George Archibald, co-founder of the world-renowned International Crane Foundation, will be the Wetlands Initiative's keynote speaker for the evening, following cocktails and dinner at the beautiful Glen View Club just north of Chicago. Tickets are $275 per person in support of TWI's mission of ecological restoration ($200 of each ticket is tax-deductible). When making your reservation, consider upgrading your wine for the evening. Gundlach Bundschu Winery in California's Sonoma County has generously donated premium Chardonnay and Cabernet Sauvignon wines as an optional upgrade and, if you should choose to upgrade, your additional donation will help bring back even more wetlands for cranes and other species that need them. Doing good with great wine! Celebrate fall by helping to collect native seed in the Dixon Waterfowl Refuge’s beautiful restored prairies and wetlands. No experience is needed for this fun and easy volunteer activity! The seed harvested by volunteers will later be cleaned, sorted, and planted over the winter in other areas of the Refuge that are being restored. This is an important way you can participate in restoration of this internationally recognized site and its diverse native habitats. Bring your own water bottle and we'll provide snacks, tools, and gloves. There will be a light picnic lunch at the Refuge farmhouse when you’re done harvesting. Please wear appropriate clothing for fieldwork (e.g., long pants, closed-toe shoes). Children 16 years old or younger must be accompanied by a parent or other chaperone. Meet at 9:00 a.m. at the parking lot by the observation tower. Click here for a map and driving directions. Please email us if you plan to attend. The next TWI-designed constructed wetland is going in, on a farm in Livingston County, Illinois! Come out and see it being built by ILICA contractors and talk with TWI staff about how this farm-based conservation practice works to reduce nutrient losses and improve water quality. At the expo there will be interactive stations where you can learn about several conservation drainage practices for farms—not just constructed wetlands but also saturated buffers, bioreactors, and drainage water management. Join us for a FREE lunch at noon. The full schedule and directions to the site location are available at www.smartwetlands.farm/livingston2018. Registration for BioBlitz surveys is now closed, but everyone is welcome at the Biodiversity Festival on Saturday, August 4, from 12:30 to 2:00 in the afternoon at the Dixon Refuge boat launch. From the evening of Friday, August 3, to the evening of Saturday, August 4, join us at the Dixon Waterfowl Refuge for a spectacular BioBlitz! Teams of citizen scientists will join experts in surveying the 3,000-acre site for as many species as possible among dozens of different organism groups—from fungi to birds, mammals to ants, and reptiles to plants. The main activities will take place on Saturday, August 4, with a Biodiversity Festival in the afternoon suitable for all ages and mobility levels. Some nighttime activities are scheduled for the previous Friday evening, August 3, including an "owl prowl" and a bat hike. You are invited to participate in as much or as little of the 24-hour BioBlitz as you like. During TWI's first-ever BioBlitz at the Refuge in 2015, participants identified more than 675 species. Help us beat this amazing record and learn even more about biodiversity at the Refuge in 2018! No matter your experience level, there will be ways for you to be part of the event. Surveying activities are appropriate for ages 10 and up, except where indicated. Click here for an overview of the schedule for the 24-hour event. For more information on the Dixon Waterfowl Refuge, including its location in the Illinois River Valley, click here. Make your way to the wetlands on Saturday, June 2, for a morning of planting native flowers and grasses in Chicagoland’s Calumet region at Indian Ridge Marsh. Once consisting of nearly 45,000 acres of wetlands, the Calumet region covers much of southeast Chicago and portions of northwest Indiana. In the late 1800s, industrial development reduced its biodiversity, leaving only a patchwork of remnant wetland habitats. The Wetlands Initiative, Audubon Great Lakes, Chicago Park District, and Illinois Soybean Association are partnering to offer volunteers an opportunity to roll up their sleeves alongside urban conservationists and Illinois soybean farmers with the hope of seeing swifter progress in this critical ecosystem. Meet at the north end of Indian Ridge Marsh on East 116th Street, just west of South Torrence Avenue. Transportation is available, with eco-friendly biodiesel shuttles departing at 8:00 in the morning from two Bridgeport Coffee locations in Chicago: 3101 S. Morgan St. (Bridgeport) and 5030 S. Cornell Ave. (Hyde Park). Parking is available at the north end of Indian Ridge Marsh, or commute on your bike. Volunteers should bring water and wear long pants, long sleeves, work boots, and a hat. Gloves, tools, additional water, and lunch will be provided. Activities are suitable for most children over 12. Please sign up here if you plan to attend. Help restore rare prairie and savanna habitats at the Sandy Hollow tract of the Dixon Waterfowl Refuge! Volunteers will plant plugs (seedlings) of a variety of native species such as leadplant, cream gentian, and prairie violets. Snacks, water, tools, and gloves will be provided. Please wear appropriate clothing for fieldwork (e.g., long pants, closed-toe shoes). Children 16 years old or younger must be accompanied by a parent or other chaperone. Please email us at twi@wetlands-initiative.org if you plan to attend. Share some Bridgeport Coffee and snacks with Wetlands Initiative ecologists working to restore native habitats in Chicago's Calumet region on the city's Southeast Side, and find out how you can be a part of it! Once one of North America's most biodiverse wetland areas, the Calumet region is now heavily marked by a century of industrial use. Join the collaborative effort to bring back Calumet ecosystems where native plants and wildlife can again thrive. TWI's partners in this work include Audubon Great Lakes, the Chicago Park District, and others. You'll also have the chance to enter a free raffle for some fabulous Patagonia gear! Join TWI at the inaugural Dixon Refuge Dash on Saturday, September 23, in celebration of Hennepin's bicentennial. A 5K, family-friendly "fun run" at the Refuge's new Hickory Hollow tract, the event will give you a chance to experience what this area along the Illinois River would have been like when Hennepin was first settled. After the race, you can enjoy other bicentennial activities in Hennepin, including a pancake breakfast at the Hennepin Fire Station. Day-of registration opens on-site at 7:30 a.m.
Check-in and day-of registration opens at 7:30 a.m. Runners start at 8:00 a.m.
Walkers start at 8:15 a.m.
$10 entry fee per person. Children under the age of 16 are welcome to participate but must also pay the entry fee and be accompanied by a parent or adult chaperone. Participants will receive a Dixon Refuge Dash t-shirt. The entry fee will help support TWI's mission of ecological restoration in the Illinois River Valley. The race will take place rain or shine, unless there is an extreme weather event. Parking will be available off Route 26, near the race start. Click here for a Dixon Waterfowl Refuge map and detailed 5K race map. Online registration is now closed. Day-of registration opens on-site at 7:30 a.m., when check-in for pre-registered participants begins. This is a trail run. It will take place on unpaved surfaces through the new Hickory Hollow tract at the Dixon Waterfowl Refuge. Experience this restoration-in-progress as you run through native Illinois habitats like sand and mesic prairie, oak savanna, and mixed woodland. Click here to see a map of the Dixon Waterfowl Refuge and a detailed 5K race map. Contact the Wetlands Initiative at swagner@wetlands-initiative.org. Join the collaborative effort to bring back Calumet ecosystems where native plants and wildlife can again thrive, along with the Wetlands Initiative, Audubon Great Lakes, and other partners. Help restore rare prairie and savanna habitats at the Hickory Hollow tract of the Dixon Waterfowl Refuge! Volunteers will plant plugs (seedlings) of a variety of native species such as leadplant, cream gentian, and prairie violets.